The state of Minnesota certainly resonates a pro-gambling atmosphere in nearly all forms of betting entertainment. The nice thing about this state’s position on gambling is that it remains consistent. Lawmakers in the state are relaxed with commercial and tribal betting, as well as social and charitable gaming. 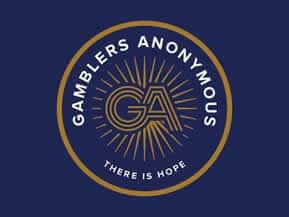 As gambling friendly as the North Star State is, they are still subject to US federal laws, and this includes those regulations that govern sports betting in America. Federal laws do supersede state laws, which is why most US states don’t bother addressing much when it comes to sportsbook gambling. The federal laws are already in place and are effective in restricting US-based sports betting opportunities. Being able to access legally sanctioned sports betting for gamblers in Minnesota all boils down to knowing where to place your bets. Location is everything, and determines the legality of the bookmaker at which you are betting. This guide will reveal how you can determine the legitimacy of your sports betting action based on where you are betting. We do this by providing insight into the relevant state and federal laws that regulate betting entertainment in Minnesota, and explain their impact on what is available to residents in the state. We also explain where to find licensed and regulated online betting destinations that have been vetted and approved by industry professionals. 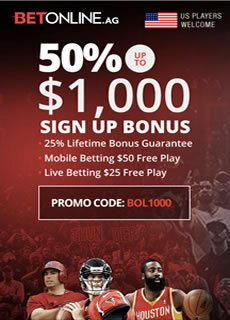 Sports fans in Minnesota who are interested in a legal, high quality online sports betting experience will find that BetOnline Sportsbook delivers precisely that. Their lines are competitive with the Vegas bookmakers. 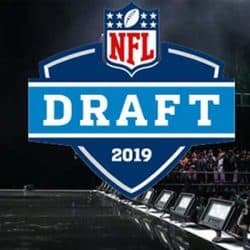 They offer a substantial selection of betting lines and wagering options that cover American and international sports leagues, events, games and matches. Along with online access from your computer or laptop, you can also place bets through their mobile sportsbook application, which includes live betting features as well. They offer a few bonus offers, including a 50% match bonus up to $1,000 and a 25% match bonus every time you fund your account. They have been involved in online gambling for more than 20 years now and are licensed and regulated in Panama City, Panama. State-based sports betting is not legal in the state of Minnesota either online or offline. 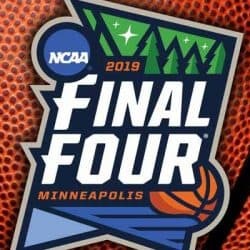 However, this does not mean that residents of the Gopher State are without any options for betting on sports - they just won't be opportunities that are based within their home state. Though the state does allow tribal casino businesses to offer casino and poker gambling. You can read more about that below. You will also find a state lottery and various pari-mutuel betting options as well. So how can Minnesota residents legally bet on sports without traveling to Vegas and without violating any state or federal laws? The answer is rather simple, you just have to visit a legitimate and legally sanctioned online sportsbook, often referred to as legal offshore sportsbooks. If you want to gamble on online sports in Minnesota, you can. The police aren't going to show up to arrest you for gambling online. All you have to do is find a legal online sports betting site that is licensed, regulated and located outside of the US at which to bet, and this is an area where we can definitely help. Selecting this type of offshore sports betting does not violate any type of US sports betting laws. We can point you in the right direction of a reputable and trusted gambling website accepting US players. Then all you have to do is sign up and play, and Minnesota can't do a single thing about it. There are no state or federal laws which apply to businesses located outside of the United States. What keeps things legal is restricting your betting action to those destinations which are legitimately licensed. It is illegal to participate in unregulated sports betting or to run an unlicensed sportsbook business of any kind within the state. Before you get all gung-ho about laying your money down on certain sports inside of Minnesota, let's take a few minutes to discuss the federal regulations that are technically still on the books. As long as you're gambling within the United States, then it doesn't matter in which state you're gambling; you will have to follow federal regulations to ensure that you're not breaking any gambling laws. There are three main pieces of legislation to worry about. This particular law is probably the easiest to explain. It was passed in 1961 and basically says that it's illegal to accept or to transmit money over a wire if that money is intended for gambling. Of course, this hit bookies' shops and off-track betting shops the hardest, as they were typically dealing with bets via telephone. And it also affects Internet transmissions today, as the net is technically a "wire" transmission as interpreted by the Department of Justice. This law was passed with the sole intention of cracking down on organized crime that was controlling sports betting at the time. In 2011 the DOJ clarified that this law applies only to online sports betting and does not affect online casino or poker gambling. It does not affect access to legally licensed offshore sportsbooks and only applies to US based gambling. Learn more about this law by visiting our guide to understanding Federal Wire Act as it goes into detail about what this law means and how it impacts American residents. The PASPA act was a federal law that blocked 46 states from offering legal sports betting until 2018. In 2018, the Supreme Court of the United States ruled that the PASPA act was unconstitutional. This ruling gave US-states the option to enact sports betting legislation. Minnesota currently has a sports betting bill on the house floor that is likely to pass if lawmakers can come to a mutual agreement. In the post-PASPA era, 20+ states have already elected to pen sports betting legislation. This is the one that we always mention last, and that's because it really only targets online gambling operators and payment processors, and does not address players at all. This is the one that George W. Bush singed into law in 2006, when the vast majority of all online gaming sites, from poker rooms and sportsbooks to casinos and bingo rooms, were shut down almost instantly, costing people billions of dollars and even resulting in some stiff jail sentences on the operations side. The Unlawful Internet Gambling Enforcement Act provides regulatory oversight regarding how online gambling transactions are processed. It does not impact player activity but rather is directed at the online gambling operators and payment processors. The few states that have initiated an online gambling platform within their states are struggling to comply with this law in regards to account funding. The UIGEA does not affect access to US friendly offshore sports betting that is regulated and licensed. The number-one question people have who read this site: Are there actually legal casinos in ___ state? For Minnesota, the answer is a resounding yes. Although the state is very strange and double-thinking when it comes to what they allow and what they render illegal, there are actually quite a few places in the state at which you can gamble without breaking the law. For starters, there are 18 tribal casinos located in the state of Minnesota. Some call them Indian casinos, some call them Native American casinos, but whatever you call them, just know that there are plenty to choose from inside of Minnesota. You can gamble at the Black Bear Casino Resort in Carlton City, or the Fortune Bay Resort Casino in Tower, St. Louis County. Then you have some good options like Jackpot Junction Casino Hotel in Morton, or the Northern Lights Casino in Walker. This is just the tip of the iceberg when it comes to Minnesota's many tribal casinos. Most of them have a strong emphasis on slots, with a few hundred slot machines to every gaming table. But you can also find classic table games like blackjack, roulette, craps, baccarat, and more. Other than the long list of Native American casinos, you also have two state-sponsored gaming houses in Minnesota, that are sort of like hybrids of racetracks and poker rooms. The first is Canterbury Park in Shakopee, Scott County. This is where you can watch the horses and greyhounds via live action or simulcast, and there are also a bunch of poker tables where you can play Omaha, Hold'em, and other types of poker. The second is Running Aces Harness Park, located in Columbus. This is a racetrack where you're only going to find harness racing (i.e. horses pulling those carts), but they have a much larger and more recently updated poker room than Canterbury. So, overall, you have plenty of places to gamble at when you're in Minnesota. Minnesota doesn't have a hugely popular city like NYC, Baltimore, Los Angeles, or Miami. St. Paul is popular, but not on those levels. So when it comes to Minnesota's sports teams, they're all state teams and not city teams. In other words, it's the Minnesota Vikings and not the St. Paul Vikings, ala the Baltimore Ravens. This is actually more inclusive for Minnesotans, however. Since these teams aren't part of any particular city but are rather state teams, it brings the entire state together to root for them, instead of dividing cities like the White Sox and Cubs in Chicago or the Mets and Yankees in New York. The Minnesota Vikings franchise played their first NFL game in 1961 and today, the team plays their home games in the newly-built U.S. Bank Stadium located in Minneapolis, MN and competes in the NFC North division. The Vikings won the last NFL championship in 1969 prior to the merger of the NFL and the AFL and have appeared in three Super Bowls (1973, 1974, 1976), losing each one and still searching for their first Super Bowl victory. Nicknamed “The Purple People Eaters,” the defensive line for the Vikings in the late 1960s to the late 1970s is considered one of the best and most feared defensive lines of all time. The unit was comprised of Hall of Famers DT Alan Page, who also won the 1971 NFL MVP, and DE Carl Eller and Pro Bowlers DE Jim Marshall and DT Gary Larsen. Along with this feared group, some of the best players to ever play football have played for the Vikings, including Hall of Famers QB Fran Tarkenton, QB Warren Moon, QB Brett Favre, WR Cris Carter, and WR Randy Moss. The Vikings were so close to winning their first Super Bowl title last season, ending the regular season with a 13-3 record and pulling off the “Minneapolis Miracle” against the Saints before losing 38-7 in the NFC Championship game to the eventual Super Bowl champion Eagles. The team decided to release their two starting QBs from last season and sign free-agent Pro Bowl QB Kirk Cousins to a 3-year deal worth $84 million. Head coach Mike Zimmer enters his fifth season with the Vikings and with the addition of Cousins, may finally have a dependable QB to compliment the No.1 ranked defense in yards allowed from a year ago. The Vikings are one of the top 5 favorites by many sportsbooks to win the Super Bowl and with so much talent on the team this year, if they can stay healthy, the Lombardi Trophy might finally find its way to Minnesota. The Minnesota Golden Gophers played their first season in 1882 and has been a member of the Big Ten Conference since its inception in 1896. Minnesota claims seven national championships and has 18 conference titles along with one player, RB Bruce Smith, winning the Heisman Trophy in 1941. The team gets its name from the state nickname “The Gopher State” in addition to radio announcer Halsey Hall referring to them often as the “Golden Gophers” because of Minnesota wearing gold jerseys and gold pants in the 1930s. The Golden Gophers play in five rivalry series involving unique trophies: Paul Bunyan’s Axe against Wisconsin, dating back to 1890; Floyd of Rosedale against Iowa, dating back to 1894; Little Brown Jug against Michigan, dating back to 1902; $5-Bits-O-Broken-Chair Trophy against Nebraska, dating back to 1900; and the Governor’s Victory Bell against Penn State, dating back to 1993. Minnesota had a promising future back in 2016, which saw them finish 9-4 under former head coach Tracy Claeys. However, in January 2017, Claeys was fired after publicly supporting his teams’ decision to boycott football following the suspensions to 10 Minnesota football players accused of having a role in a sexual assault case, which caused upperclassman to lead the boycott and claim their teammates did not get treated fairly during the investigation. After details of an 80-page report of the investigation leaked, exposing disturbing details from the sexual assault incident, the players decided to end their boycott. P.J. Fleck was hired as new head coach in 2017, which saw Minnesota finish with a 5-7 record. Sportsbooks have Minnesota finishing in the bottom half of the Big Ten and that’s probably being a bit generous. Finishing in the middle of the Big Ten is probably the best Minnesota can hope for the foreseeable future following the firing of Claeys. The Minnesota Timberwolves are actually in a pretty good position in the NBA, even though they're in the Western Conference, which is the most competitive conference on the entire planet when it comes to sports. 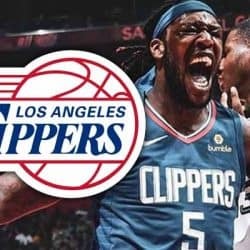 With teams like the Spurs, Clippers, Rockets, Thunder and Warriors all easily capable of winning a championship, the 'Wolves kind of pale in comparison. But they're a very young team with some very serious talent. They have young players like Andrew Wiggins and Ricky Rubio, plus they have some good draft picks to come, so all in all they could be a dynasty in another five or six years. The Minnesota Twins play in the American League in MLB and haven't actually won a World Series since 1991. To make matters worse, they haven't been a team in real playoff contention since 2010, when they won their sixth Central Division title of the decade. Paul Molitor, the Twins' manager, has his team playing hard baseball. They compete in nearly every game. But they simply do not have the pitching or the run support needed to go on a big winning streak. They have players like Joe Mauer, Brian Dozier and Kurt Suzuki, but their roster fades out after those names, and none of those names are big-name players in the league. If the Twins want to compete next season, they need to make some moves with their bullpen, and they need to sign a star who can hit the ball. The Minnesota Wild are the newest additions to Minnesota, showing up in 2000, and so far they haven't won a Stanley Cup or even a Conference Championship. They do have one division title under their belt, won in 2007, but they're typically a fair to middling team that ends up missing the playoffs. Minnesotans certainly expect more from the Wild, and the Wild just might answer the call next season. Mike Yeo is a good head coach, and players like Mikko Koivu, Zach Parise, and Ryan Suter can play some serious hockey. They have a huge hurdle to jump in their conference, but next year might just see them in the playoffs. If you're a Minnesota fan, you have a lot of sporting teams to root for. You can definitely stay busy when placing your bets on all four major American sports. But when it comes to winning, none of these teams ever manage to amount to much at season's end. This means that you must be cautious when betting. Maybe it's not the best idea to bet on a Minnesota team. Maybe it's a better idea to bet on another match-up that doesn't involve your favorite teams. Think of sports betting as a business. Don't bring your emotion into it; bet with your head.